The underground test of a nuclear weapon in North Korea on Memorial Day was registered by earthquake detectors all around the world - among them many stations of our Berkeley Digital Seismic Network (see blog January 9, 2009). Our station deep inside the Yreka Bluehorn Mine (Siskiyou County) - dubbed YBH - is also part of the International Monitoring System (IMS). It is run by a suborganization of the United Nations in the Austrian capital Vienna, which has what is probably one of the most complicated names on Earth: "The Preparatory Commission for the Comprehensive Nuclear-Test-Ban Treaty Organization." 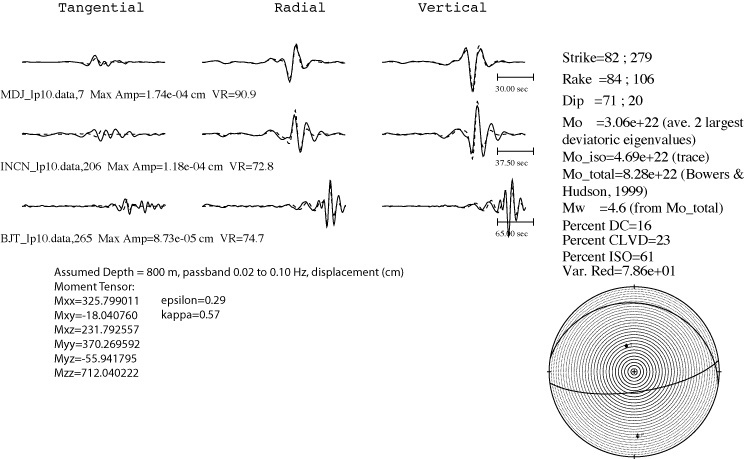 Figure 1: From "Sleuthing Seismic Signals", Science and Technology Review, March 2009, published by Lawrence Livermore National Laboratory. Underground detonations of nuclear weapons can be detected like earthquakes for a simple physical reason. In both cases - either when rocks rupture in a quake or during the explosion - very strong forces rapidly act inside the Earth. This leads to intensive shaking of the rocks around the hypocenter, which in turn generates elastic waves. They can travel thousands of miles and are detected by sensitive seismometers. 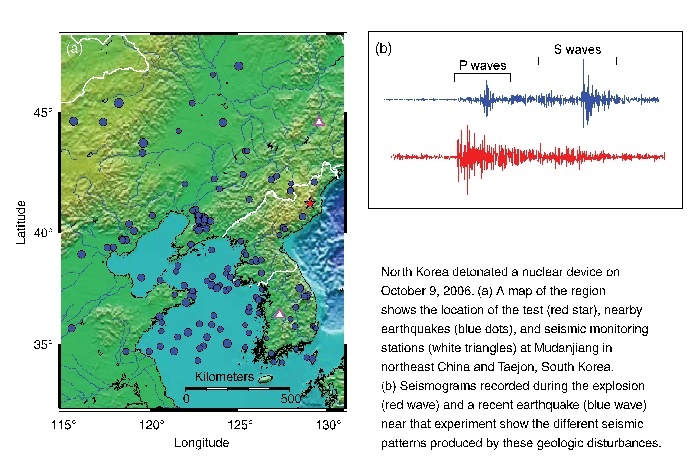 Figure 2: Moment tensor for the North Korea seismic event of 25 May 2009 calculated by Prof. Doug Dreger using the BSL's complete waveform regional moment tensor code for a source depth of 800m. The seismic waves from this event are consistent with a shallow explosion source. There are, however, major differences between the seismograms of natural tectonic earthquakes and those of explosions. Firstly, the waveforms look very different. While an earthquake generates strong S-Waves, the seismograms of underground nuclear test lack most of these waves. Instead, the P- (or primary or pressure) waves dominate the seismogram from the detonation of an atomic bomb below ground (see figure 1).